It is possible for federal or state law enforcement to investigate you before arresting you. You may even become aware of the investigation. If this happens, you need to contact a criminal defense lawyer in Jacksonville immediately. You have constitutional rights before you're arrested and every investigation must take these rights into consideration. When you hire an attorney during an investigation, you'll have a better chance, as a good criminal lawyer will be able to stop prosecution much easier, if they are hired early. If you believe you're being investigated, call Tassone, Dreicer & Hill before it's too late. When a crime involves the federal authorities, it is a serious matter. When you find yourself facing any type of federal, criminal charges, you could be taking on the full force of the federal authorities. You need an experienced attorney on your side when taking on the federal government. Tassone, Dreicer & Hill has decades of combined experience working with clients facing federal charges. These are serious crimes and the federal authorizes will treat them as such. 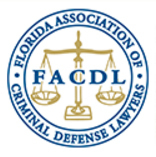 You need a seasoned federal criminal defense attorney on your side, ready to fight for you. With the right criminal lawyer in Jacksonville, you can even the playing field by assuring you'll be fully defended. Federal prosecutors don't take on the same caseload as local prosecutors. They have a few cases at a time and a large pool of resources at their disposal. Prosecutors like to move quickly through the first indictment to trial. Don't get pushed around by the federal authorities. Fight back by hiring Tassone, Dreicer & Hill to defend you.